HOW DO I KNOW IF A WINDOW OR DOOR IS ENERGY EFFICIENT? Certification programs such as CE or ENERGY STAR® provide ratings designed to indicate window and door energy efficiency. Various performance ratings — like U-factor and Solar Heat Gain Coefficient — measure a product’s effectiveness in insulating and blocking heat from the sun. WHAT DOES IT MEAN TO BE A “CE CERTIFIED” WINDOW? The CE mark serves as verification that the product conforms with the essential requirements of the Construction Products Directive (CPD), a legal mandate of the European Commission. CE certified windows and doors provide building professionals with a uniform set of technical standards to evaluate and specify product performance with the added assurance that Signature Windows & Doors products are safe and fit for purpose. 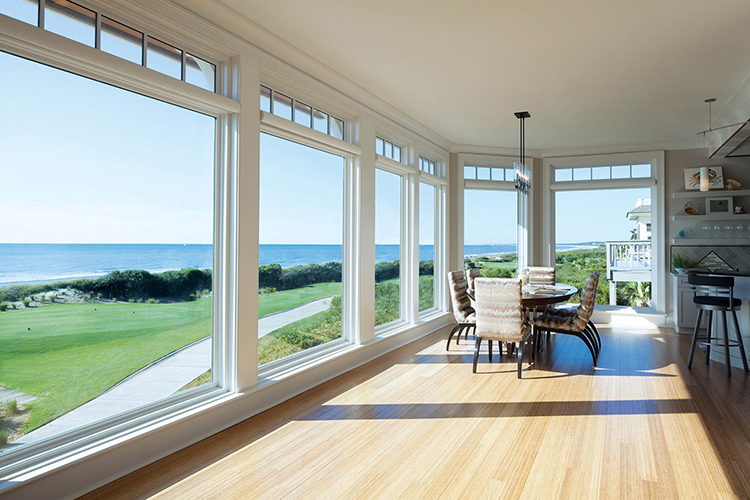 ARE TRIPLE-GLAZED WINDOWS THE BEST? MORE PANES THE BETTER, RIGHT? Not always. 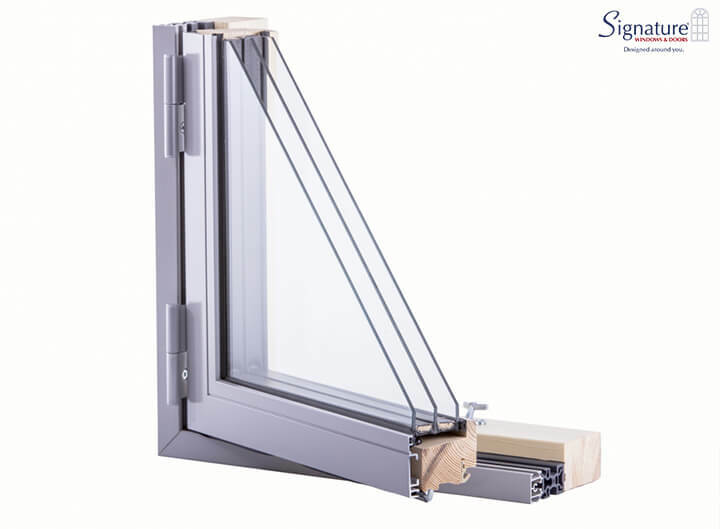 Triple-pane windows are a good choice when enhanced energy performance is a key objective. But other solutions can make a big difference in energy efficiency. No matter how many panes there are, if the window is poorly constructed, poorly installed or allows air leakage, it will not be efficient. MY WINDOW IS FREEZING IN THE WINTER, EVEN THOUGH I HAVE THE HEAT CRANKED. WHAT SHOULD I DO? First, closely inspect your window to see if it needs caulking, if there is air leakage or if it otherwise appears to be in need of repair. If no major problems are seen upon close inspection, you may need a quality replacement option, particularly one with a low U-factor, which will do a better job of keeping the heat inside your home. You may want to consider a window with a higher Solar Heat Gain Coefficient, which means during the day, it will allow more natural heat from the sun to pass into your home. SOME ROOMS IN MY HOME WITH EXTERIOR WINDOWS ARE TOO HOT. IS THAT SOMEHOW DUE TO MY WINDOWS? 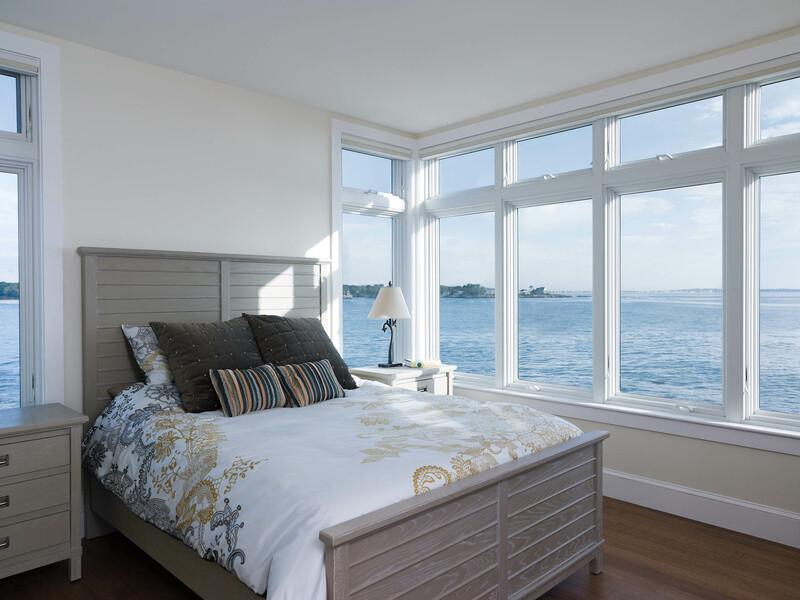 Your windows may indeed be the culprit, especially if there is strong, direct sunlight. You may want windows with a lower Solar Heat Gain — meaning they will keep more of the sun’s natural heat out of your home. WHAT DO I NEED TO KNOW IF I WANT TO MAKE MY HOUSE SUPER ENERGY EFFICIENT? The beauty of Signature Windows and Door’s ‘Designed Around You’ philosophy is that it allows us to respond to your needs and personalise your windows. 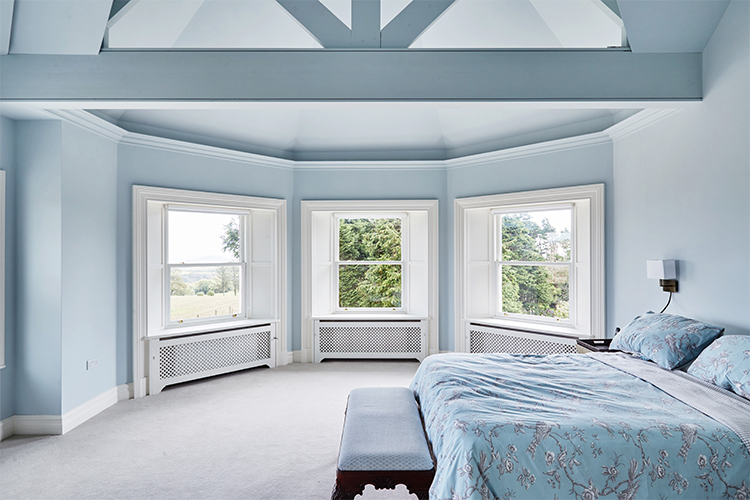 This philosophy extends to providing a range of quality glazing options that not only makes your home more comfortable but also delivers the added benefit of energy saving. But in order to maximise your overall energy efficiency, you should take into consideration the following tips for not only your windows but also your general household. Learn the best 4 energy saving tips and best practices and finding the perfect solution for your unique home.